Octavia RS – one of the most powerful, fast and beautiful serial cars of a model range of Skoda. At this Octavia RS still differs in very high level of comfort and safety. The Skoda Octavia RS car with guarantee will provide to the driver splash in adrenaline and inexpressible pleasure from driving. Each detail of this car creates truly sports atmosphere. Sports forward seats of Skoda Octavia RS create the atmosphere of a cabin of the racing car. The three-spoke multipurpose steering wheel is trimmed by skin of black color with inserts from the punched skin. It is decorated with the original decorative plate with the RS logo. Besides, the salon is decorated by massive steel overlays for pedals and the Bolero audio system with the built-in CD changer and the MP3 player on the central console to which governing bodies of the two-zonal automatic Climatronic air conditioning system are also brought. Octavia A5 RS absorbed in itself all the best that managed to reach Skoda for the more than centenary history of participation in motorsport. Octavia A5 RS found new modern and dynamic design. But, at the same time, RS still attracts with advantages of usual Octavia: it is convenient for everyday trips, is economic, capacious, reliable and safe. Octavia A5 RS received a new face – the forward part and optics was completely updated for the car. The design of an exterior became more expressional. The palette of possible options of coloring of a body consisting of seven flowers was added in the new color Anthracite gray metallic. As an alternative besides standard 17-inch disks also 18-inch rims of Neptune are available now. On forward part of the car there was a new radiator lattice with the RS logo. Headlights which can be equipped optionally with xenon headlights with system of adaptive lighting, became much larger and more expressive. In the updated front bumper with the wide and more acting air inlet, there were new fog lights with function of angular illumination of Corner. The new design of a steering wheel and the dashboard will not leave indifferent any owner of A5 RS. The two-zonal Climatronic conditioner is equipped now with the sensor which continuously controls quality of the air coming to the car and if it is necessary, automatically includes the mode of recirculation of air in salon. The magnificent ergonomics of salon, undoubtedly, will be appreciated by drivers. 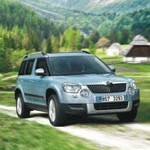 Quality of materials and execution – is traditional for Skoda at the highest level. Besides Octavia A5 RS offers a lot of place for passengers and baggage. 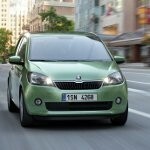 Thanks to reduction of weight of Skoda engines, it was succeeded to reduce fuel consumption. 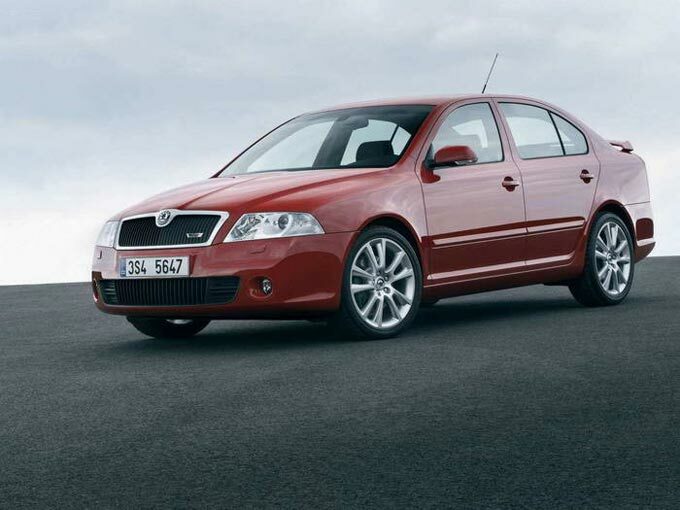 Besides, optimization of weight of engines was positively reflected and in dynamic indicators of Octavia RS. The Octavia A5 RS engine meets standards of Euro-5. 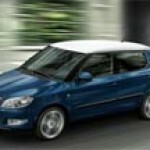 Despite the power, the petrol TSI motor of 2,0 and 200 h.p. (147 kW) only 7,5 liters on 100 km consume in the mixed cycle, and emissions of CO2 in the atmosphere make 175 g/km. LED headlights with the Daylight function are located on "honeycombs" of decorative air inlets over the fog lights executed in RS style. Powerful steel overlays for pedals and rugs with a coupler of gray color – accessories which it is at the same time thin emphasize also bright physicality and luxury of this car. The 147 kW petrol engine 2.0 TFSI – one of the best motors in the class guaranteeing the unusual power and dynamism. 17-inch light-alloy wheels of Zenith lift sports shape of the RS model on the highest level. Complete with tires 225/45 R17 they ensure safety and the maximum comfort during the movement.